Many times SEO’s complain about the shrinking real estate for organic listings in Google. Over the years, more ads have been taking up the top of the page and with the introduction of Product Listing Ads, the more real estate has been taken up by ways for Google to make more revenue. But at least 1-2 organic results are sometimes showing above the fold, just below the ads. 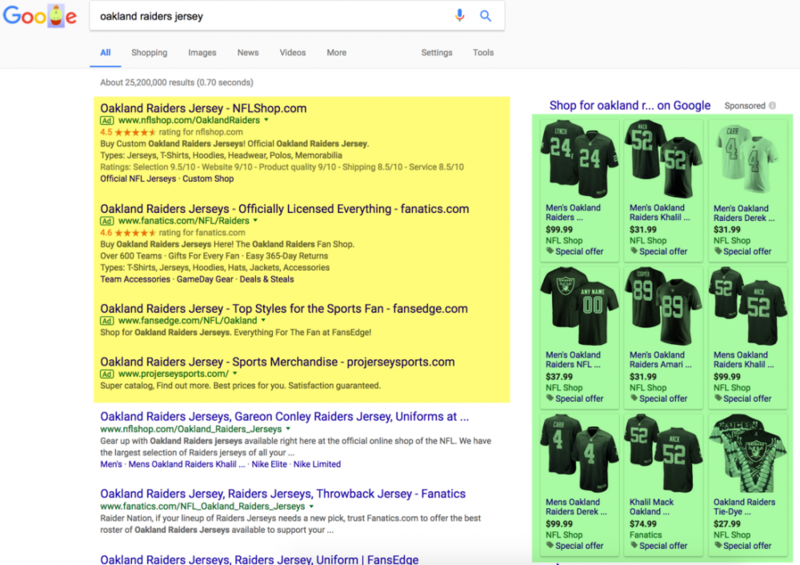 Depending on the query, Google will show just only search ads, or when the query is more commercial, Google will ad a block of PLA’s. See below the search I just did for garden hose. 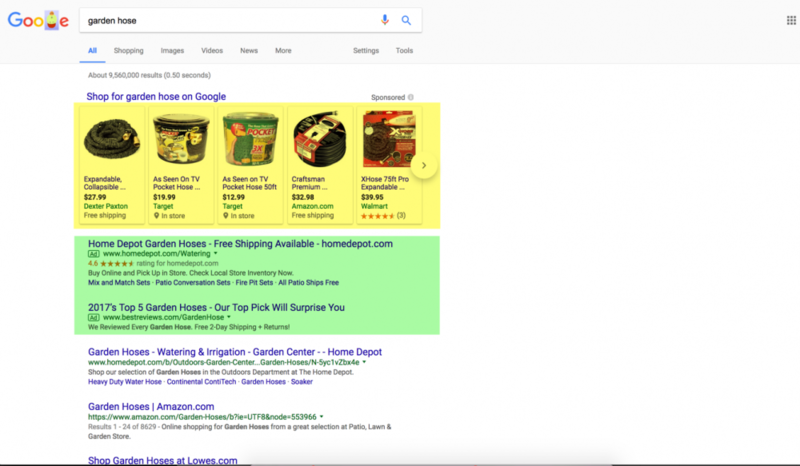 With 4 search ads at the top, and a 3X3 PLA grid in the right rail, here Google is showing how eager they are to get the advertising dollars from the clicks on a more commercial query. There is money to be made here. 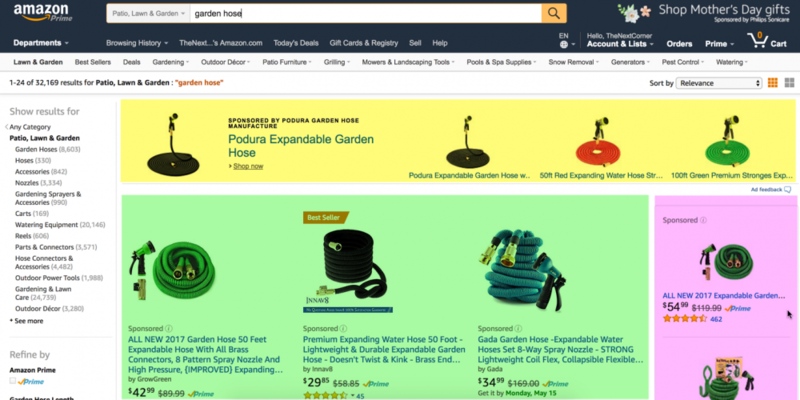 For the query garden hose on Amazon, I didn’t get any organic search results for products on Amazon above the fold. All that I could see without scrolling, were advertisements for garden hoses. WTF! Seems clear to me that Amazon will be able to grab much more advertising dollars in the near future, next to their already impressive revenue stream of direct sales to consumers. How far can Amazon take this advertising revenue stream? How large can it become? Amazon is a really interesting one…. With the possibility to make money as a retailer, a marketplace and also a search / display platform.